Popular musician-turned-activist, Chukwuemeka Charles Oputa, popularly known as CharlyBoy, has criticized Pentecostalism in Nigeria, stating that their preaching is solely based on systematic fraud. The convener of OurMumuDonDo movement took to his Instagram account on Friday to slam pastors who preach for money. The AreaFada, who shared a photos of himself with a Buddhist monk, said the system practiced by the preachers is fraud and deception. “Pentecostalism na modern-day commercial enterprise garnished in the cloak of religion with deception and exploitation as its foundation. “Their goal na the complete monetisation of peoples ignorance. It remains the only legally and politically accepted movement completely based upon systematic fraud, deception and cheating. “Fck the con men of God, dem crooked theology is all for the Naira. 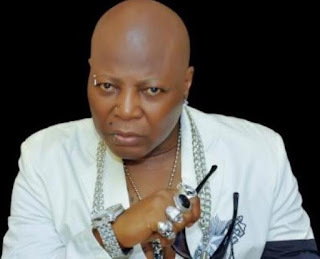 Na so AreaFada Talk,” Charly Boy wrote.